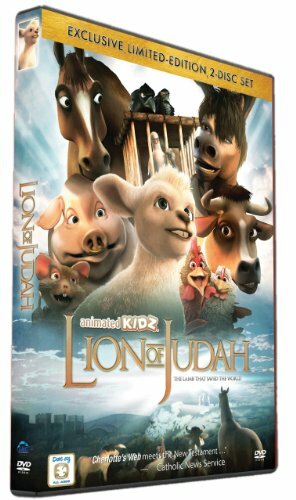 The Lion of Judah 2D DVD with "Once Upon a Stable" DVD Plus 2 more Bonus DVDs "The Legend of the Sky Kingdom" and "Jungle Beat"
Run time: 87. Ships Same or Next business day from NJ, USA with Tracking. Factory sealed in shrink wrap. 30-Day Satisfaction Guarantee.